Artists of Drawing For All has already shown you how to draw a horse. In that article our artists built the figure of the horse as a whole. 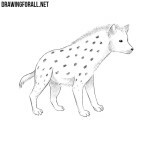 But the fact is that the most difficult part of the body in the drawing is the head.This is due to the fact that the head has a lot of details that need to be depicted most clearly and correctly. 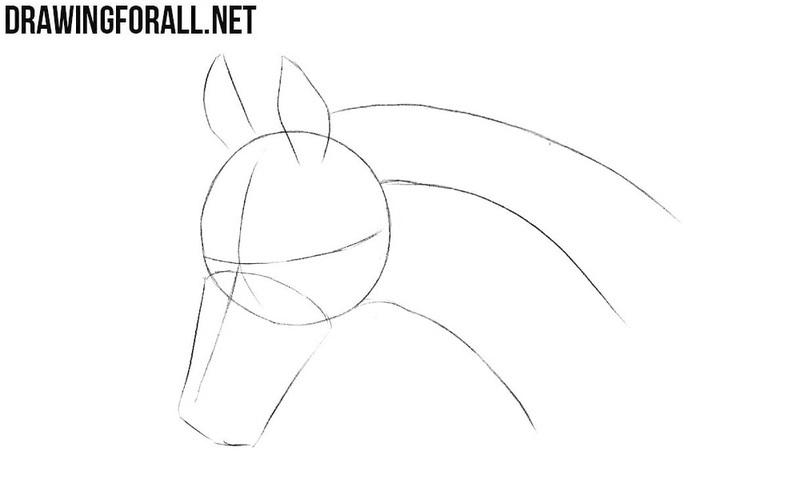 So today we decided to show you how to draw a horse’s head. To achieve the greatest visual clarity and simplicity of the drawing process, we divided our lesson into a few very simple steps. The first step of this lesson is similar the first step of our zebra lesson. 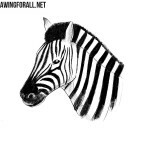 As well as in the lesson about the zebra, draw a circle, a long line of the neck and two crossing lines on the circle. 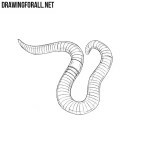 Draw a long cylindrical muzzle of our horse. 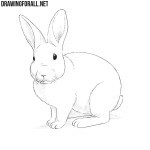 Then draw the ears and neck, that widens downwards. 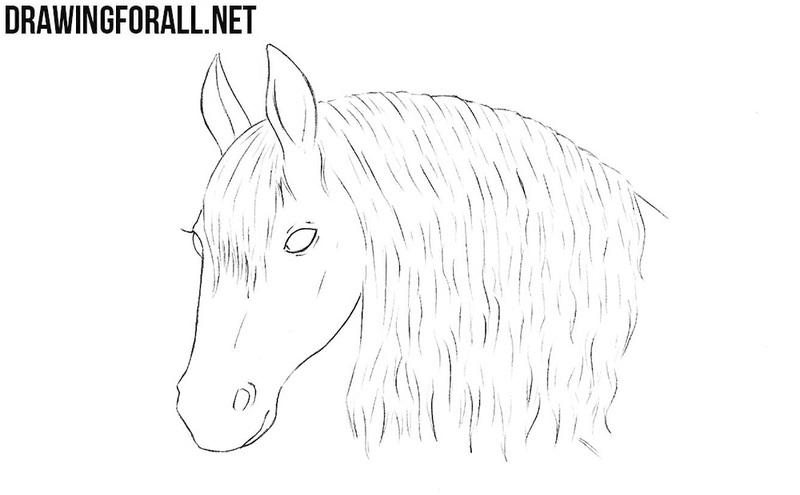 With the help of wavy lines draw the mane of our horse. Next, draw a large almond-shaped eye and inflated nostrils. 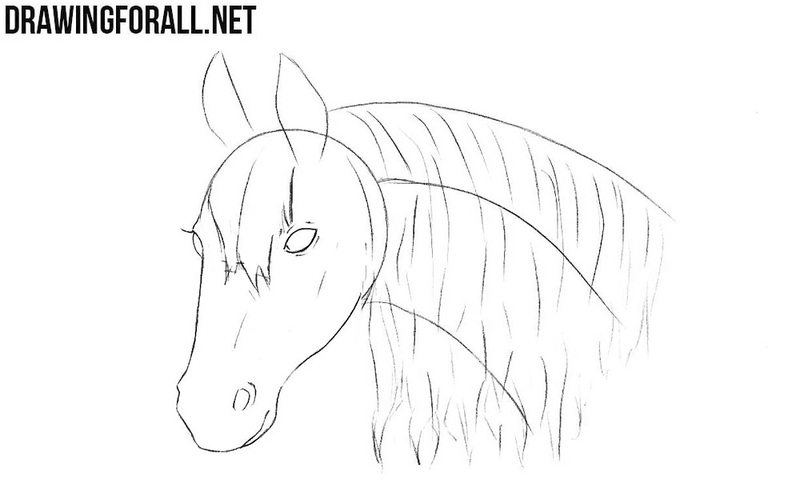 Using very clear lines draw the muzzle and details of the horse’s face. 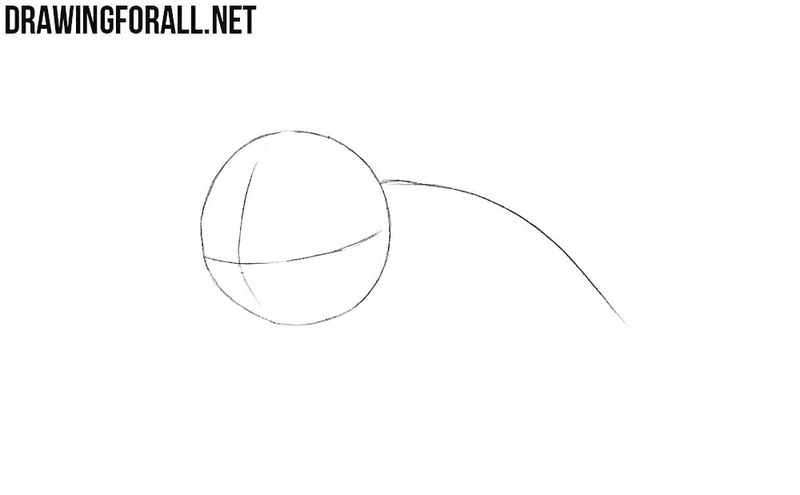 Do not forget to remove the lines from the first two steps from the head. Now, using the same clear lines draw long ears and wavy hair. Remove all the remaining guidelines from our horse’s head drawing. Paint eyes of the horse, leaving white glare inside them. 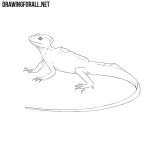 Add some shadows by applying hatching. 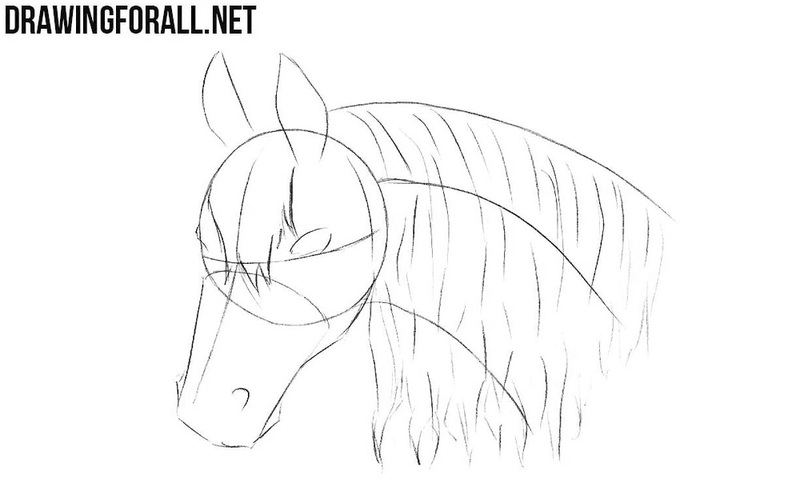 Add some more wavy lines to the mane to achieve maximum realism of drawing. 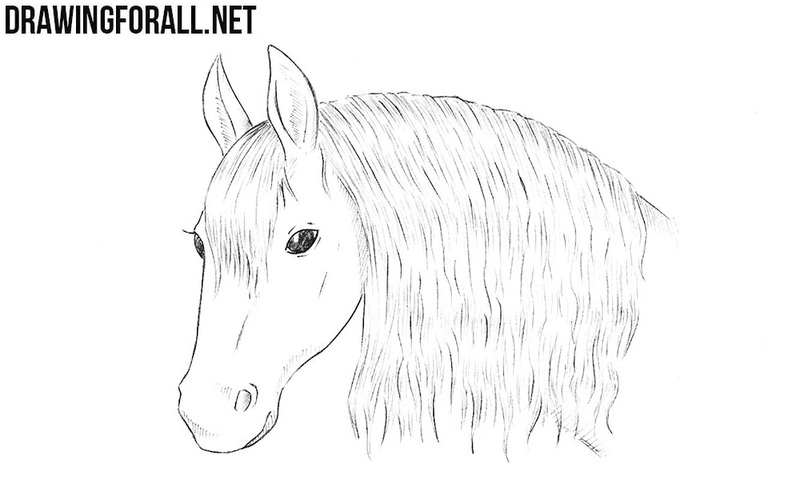 Our article about how to draw a horse head, as well as all our other lessons, was divided into several very simple steps. 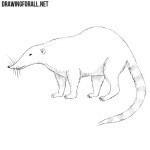 The fact is that any subject can be divided into many simple steps, but it must be done so that all steps are proportional, and that the student does not encounter problems in the drawing process. Vær sød at blive bedre til dansk!